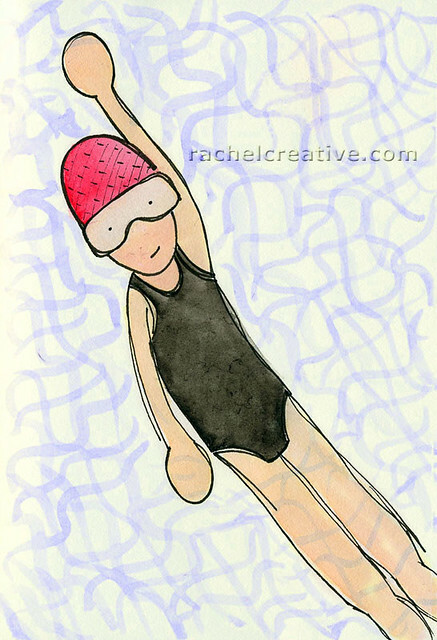 I’m enjoying a bit of gentle swimming these days though I’m not skinny like this drawing. Thanks for the art and sharing it – I am glad it is part of your life. Just sent off a postcard, so 5-8 days, I hope. The art reminds me of the summer olympics. Glad you are getting out to swim, I could try that. I’ve missed your drawings! Congratulations on getting to do what you’re doing in the drawing. Looks peaceful.